Get ready to have the time of your life on-board this fabulous one of a kind party vehicle. We promise that we will have it detailed and ready for your booking time and it will be in pristine condition when it arrives to pick you and the rest of your passengers up. 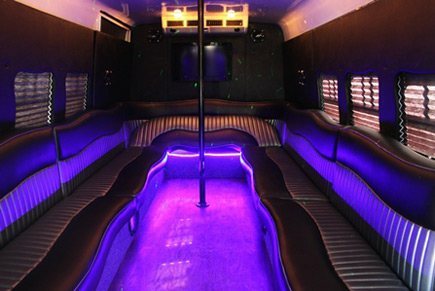 With all of the amenities and extras on this limo bus, you'll forget all your troubles and have a blast as you travel down the road while you dance and party it up with all of your friends. There's a great stereo system with iPod and smart phone connection compatibility so you can play all your favorite songs to set the mood just right for your event, as well as flat screen televisions for all of your entertainment needs. 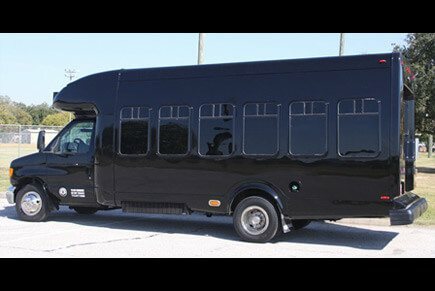 No matter the occasion this limousine bus is the perfect size for most groups, great for tailgating at a Houston Texans game you'll be the envy of the lot, perfect for prom or homecoming, great for concerts and music festivals and so much more. This member of our fleet is ready for your next outing. Give us a call to get a quote today!